Democratic Sen. Elizabeth Warren formally launched her presidential campaign on Saturday at a rally in her home state of Massachusetts, marking the final step in a process that had been underway for months. Warren made little secret for years of the fact that she was considering a White House bid, and the former Harvard Law School professor has been considered a top contender among Democrats ever since she was first elected to the Senate in 2012. Warren’s announcement Saturday in Lawrence, Mass., was the first event in a seven state tour of early voting primary states. After Lawrence, Warren’s campaign said she planned to travel to Iowa, New Hampshire, South Carolina, Georgia, Nevada and California. Even before Warren’s formal announcement, President Donald Trump’s reelection campaign sent out a statement lambasting the senator and her policy positions. “We are here to take on a fight that will shape our lives, our children’s lives and our grandchildren’s lives, just as surely as the fight that began in these streets more than a century ago,” Warren said, in a statement posted to blogging site Medium. “Because the man in the White House is not the cause of what’s broken, he’s just the latest — and most extreme — symptom of what’s gone wrong in America,” she added. So far, there has been little reliable polling on the 2020 Democratic presidential field, which is growing on a near daily basis. But there is some good news in the numbers for Warren. A recent Politico-Morning Consult poll showed that more than half of all Americans already support what is expected to be a pillar of Warren’s candidacy: Higher taxes on the ultra-wealthy. An Oklahoma native who moved to Massachusetts as an adult, Warren has already staked out the issues of economic equality and anti-corruption, well ahead of the rest of the Democrats expected to run in 2020. Both are subjects that Warren is uniquely positioned to tackle, given her experience as both a professor and her legislative record as a senator. This fall, Warren introduced sweeping new ethics legislation, no doubt with an eye toward her 2020 campaign platform. The Anti-Corruption and Public Integrity Act would place a lifetime lobbying ban on former presidents and vice presidents, Cabinet secretaries, members of Congress and federal judges. It would also require presidential candidates to release at least eight years of tax returns — President Donald Trump has refused to release any of his tax returns. Also this fall, Warren introduced the Accountable Capitalism Act, which would require, among other provisions, that employees be given seats on the board of directors at some of the nation’s biggest companies. Yet even though Warren has been actively laying the groundwork for a White House bid for years, she has still failed to avoid serious stumbles along her path to Saturday’s announcement. None has been more damaging so far than the controversy over Warren’s repeated assertion that she is of Native American, something she has done several times in recent decades. Warren has blue eyes and blond hair, but last summer, under pressure to back up her past claims, she released the results of a DNA test that showed she has a small amount of Native American ancestry. Warren’s decision to release her DNA results was widely panned, in no small part because it appeared as though the senator and respected academic was directly responding to President Donald Trump’s incessant taunting of her. Trump has been referring to Warren as “Pocahontas” for years, ever since the senator first emerged on the national stage. In a statement issued Saturday in response to Warren’s announcement, Trump campaign manager Brad Parscale again seized on Warrens ethnicity, but stopped short of using the derogatory nickname the president prefers. 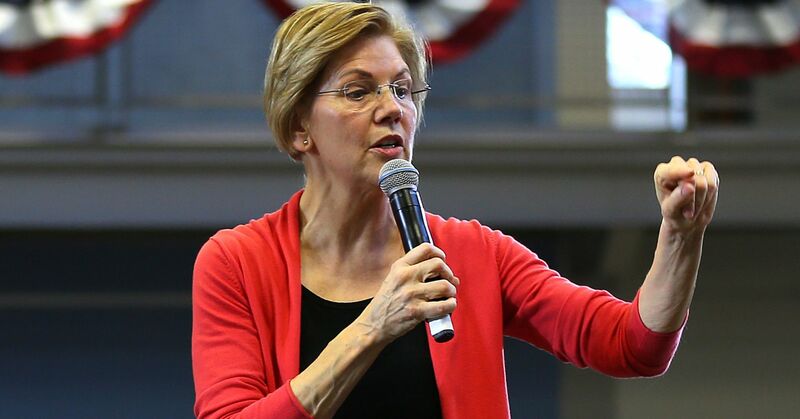 “Elizabeth Warren has already been exposed as a fraud by the Native Americans she impersonated and disrespected to advance her professional career, and the people of Massachusetts she deceived to get elected,” Paracale said. The ease with which the Post was able to obtain an example of Warren identifying as Native American, and the general nature of her apology, suggests there may be more instances of this than have so far been reported. 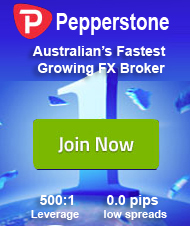 NOTE: If you want to trade at forex professionally – trade with the help of our robot forex developed by our programmers.